As tempting as it was to come up with something in lieu of today’s date, I decided that the stories and articles here are often strange enough. Besides, I felt bad five years ago when some people went for this one. Church Decor That Welcomes Men – David Murrow: “Men are intensely visual. The way a room is decorated tells guys whether they are welcome in that space… The typical church is decorated grandma-style: Quilted banners and silk flower arrangements adorn church lobbies. More quilts, banners, and ribbons cover the sanctuary walls, complemented with fresh flowers on the altar, a lace doily on the Communion table, and boxes of Kleenex under every pew… This femme décor sends a powerful subconscious message to men: you are out of place. The moment men set foot in the vestibule, they look around get the same uneasy feeling they experience in a fabric store, flower shop, or any other female-oriented locale.” Be sure to click the two photo galleries. Welcome Gifts for Your Church Visitors – “You are inviting guests to come to your church and a great way to indicate to them that you expected them is to have a gift ready just for them…A gift for your guests gives you the opportunity to explain what makes your church tick … you can give them an inside look at what it means to be a part of you community.” A 9-minute podcast with notes, plus a look at what’s in all those church gift bags. The Bible on Disabilities – A short teaser for a short article: A new look at who are the weaker members of the body in I Corinthians 12. One for the Road – You know you go to a cool church when Stevie Wonder drops in for a visit. And you know that means you’re gonna hear a song. LGBT. It stands for Let God Be True. 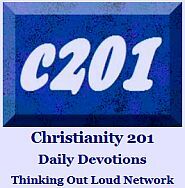 Charisma magazine affirms that when someone has “a word from the Lord,” this does not and cannot supersede scripture. A classic Graham Kendrick song is now on YouTube; enjoy Let the Flame Burn Brighter. If your church does sermon series theme slides, why not do a sermon series wall? This story about Pope Michael — you remember him — was working out well until I noticed the 2005 date. Sigh! Still an interesting read. Do moderates or extremists represent the true nature of Islam? The sometimes controversial Wild Goose Festival is offering a discount to ticket buyers willing to opt in before the lineup is announced. Below, interesting to see how Gospel Music performers land on this “cause of death” chart. Link to original source. How about changing the name to “Linkerama”? Just kickin’ around some ideas. Looks like the links lynx is back! The guy who wrote the book Heaven kept getting asked his opinion about the popular Todd & Colton Burpo title, Heaven Is For Real. Read what Randy Alcorn thinks about the bestselling story. I love it when bloggers make themselves available off the blog to help readers through issues, such as Zach at Take Your Vitamin Z discussing the rarely spoken issue of sexual dysfunction in marriage. This one’s guaranteed to get you thinking. Will there be wheelchairs in heaven? Quote: For me, if there is a heaven, it’s not a place where I’ll be able to walk. It’s a place where it doesn’t matter if you can’t. Check out Mark Stephenson’s essay, Will People Have Disabilities in Heaven. “…those who worship Him must worship in spirit and in truth.” Phil Johnson at Team Pyro discusses the idea of True Worship. This one is a longer piece, but it’s very worth reading and very balanced. Matt Chandler tackles: Is Church Membership Biblical? And while we’re talking eccesiology, Baptist theology professor James Hamilton considers the frequency of communion services; How Often Should a Church Take The Lord’s Supper? Three-for-three on church related subjects: Bill Mounce mourns the loss of someone who, after much training, leaves the ministry after only a short time, for all the saddest reasons. Actually one more; no, two more! 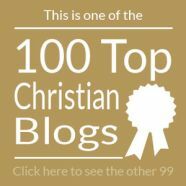 From the Shrink-The-Church blog, Ten Reasons to Tell if People Love Your Church More than Jesus and Five Things We Need To Learn From The Mormon Church. Social Justice Department: An interesting video of 24 hours as seen through the eyes of a homeless man outfitted with a hidden camera. RB really opened up a can of worms, didn’t he. This time it’s Crystal Lewis with Seven Reasons Why I Don’t Believe in Hell. Just in time for middle school graduation, WAY-FM’s morning guy, Brant Hansen on Seven Myths of High School. James MacDonald posts three more clips from the early spring Elephant Room Conference, which brought himself, Steven Furtick, Matt Chandler, David Platt, Mark Driscoll, Greg Laurie and Perry Noble together to discuss everything from soup to nuts. Music clip of the week — five of them, actually — is the Rolling Hills Christian Church worship band. In case you missed it, here are actual ten most posted Bible verses on Twitter and Facebook in the wake of the death of Osama bin Laden. For those of you into church architecture, CBC Television documents a church relocation project, though it won’t be a church when it reopens. Not even close. Most of you know we usually end here with a cartoon, so it seemed fitting to mention that this week on Rick Apperson’s excellent ‘Five Questions With…’ series he interviews the star of posters, greeting cards and coffee mugs, artist Cuyler Black. Just five weeks ago I wrote about a reconnecting with the music that forms one of the main founding roots of the world of Christian music. As a result of that concert, my wife decided to do a weekend seminar with Toronto Mass Choir founder Karen Burke — they called it the Power Up conference — all day Friday and Saturday, and we returned to Toronto on Sunday night for a final event in which her choir along with the conference registrants performed a number of songs. We arrived in Toronto for dinner at Swiss Chalet (the Canadian dining institution Americans never hear about with all the talk of Tim Horton’s) just in time to catch the last five minutes of the third period of the Canada-USA Olympic hockey final, followed by the overtime period in which Canada won. The patrons in the restaurant cheered when Canada won it; the screen displaying images of people across the country going into high-gear revelry; but it was nothing compared to the energy at the concert which was sustained for two hours without a break. The church where the concert was held is the The Toronto Celebration Church, a church so diverse that during its morning and afternoon services simultaneous translation is available in six or seven different languages. The evening concert “bumped” a smaller service that usually takes place from 6:00 to 7:00 PM for people with disabilities, so it was determined that a couple of their people would participate in the Power Up conference concert. At least, that’s what I first concluded. The Abilities Church ministry pastor, Robert Gagnon opened in prayer. His voice was marked by the effects of cerebral palsy, but you could understand every word and there was no denying the depth and sincerity of his prayer. My youngest son, who was caught a bit off guard by the concept of someone who the church at large might consider so otherwise unsuited for platform ministry being called on to open in prayer, said later that he was arrested in his tracks of pre-judgment by the actual words that he was praying. In fact, a November, 2009 story in Christian Week defines that depth: Gagnon has a Masters degree in Theology from Toronto’s Tyndale Seminary. Then their church’s worship leader, Kenny Rojas, who is visually impaired performed “I Can Only Imagine.” The song — which most of us have heard many, many times — suddenly took on new meaning. There was sustained applause for more than a full minute at the song’s conclusion. After that point a guest music group did three songs and the evening was turned over to The Toronto Mass Choir. Our goal is to maintain an equal congregational balance of people with and without disabilities. Our purpose is to encourage the entire community and church to personally practice inclusion as a part of everyday living. TAC is the first fully inclusive church for the whole family and community. The Church today desperately needs people with visible disabilities to minister to them because they have a sincere, empathic and pure faith and message to share that will inspire and transform the whole community and church with the love, humility and power of Christ. The Abilities Church is not a “disabled” ministry but an “Inclusion” ministry for the whole church and community. We do not believe that individuals with disabilities should be confined to segregated services, programs or classes within the community or church. Every church must fight the natural tendencies of segregation. TAC is an unique and groundbreaking ministry that is giving people with disabilities the equal opportunity of participating in the worship and ministry of the church. We who are not labeled as “disabled” have much more to gain from people with disabilities than they do from us. They have the power through their weaknesses to inspire and transform us into authentic and caring people. They help us see and remove our human biases, prejudices, self deceptions or denial, hypocrisies, discriminations, pretenses, complacencies and conditionings. Who than really has the disability? The website — which contains many more sections I would like to reprint here reminded me of the book review I did two weeks ago, in which author Fritz Kling says that mutuality is one of the seven currents influencing the future of the global church. The site is not written from the perspective of people who are doing things for people in Toronto with disabilities; it instead presents the appearance of being written by people with disabilities, expressing the pain, hurt and alienation that many of them feel trying to fit in to the so-called “normal” churches that most of us attend. Regardless of who drafted the text, the site gives voice to their frustrations, a voice that generally goes unheard. Jesus’ greatest condemnation was against organized religion that arrogantly criticized, segregated and discriminated against different groups of people. We at TAC are committed to fighting against all forms of segregation by becoming inclusive with all people and churches. We believe in respecting all churches by promoting Christian unity, diversity and love. 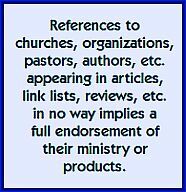 Different kinds and styles of churches are important because no one church can meet everyone’s preferences, expectations and needs. When is the last time you asked a handicapped/disabled person who attends your church what they like or don’t like about it? Asked them where it meets their needs and where it fails them? “We all have a disability,” Castro adds, “whether it is visible or invisible. “People who are ‘normal,’ from the world’s perspective, tend to have more spiritual or emotional disabilities than those with disabilities. I grew up in a very rigid denomination, and it was people with intellectual disabilities who helped me to really see the love of Jesus. “There I was, a Bible college grad. I knew theology, Latin, Greek and Hebrew. All they knew was that Jesus loved them and a hug. They would sing ‘Jesus Loves Me’ with a big smile on their face. And I would think ‘What are they so happy about?